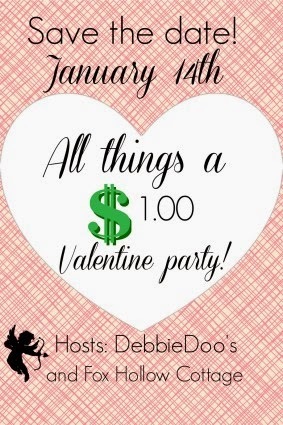 for a Valentine's Day All Things $1.00 Party. 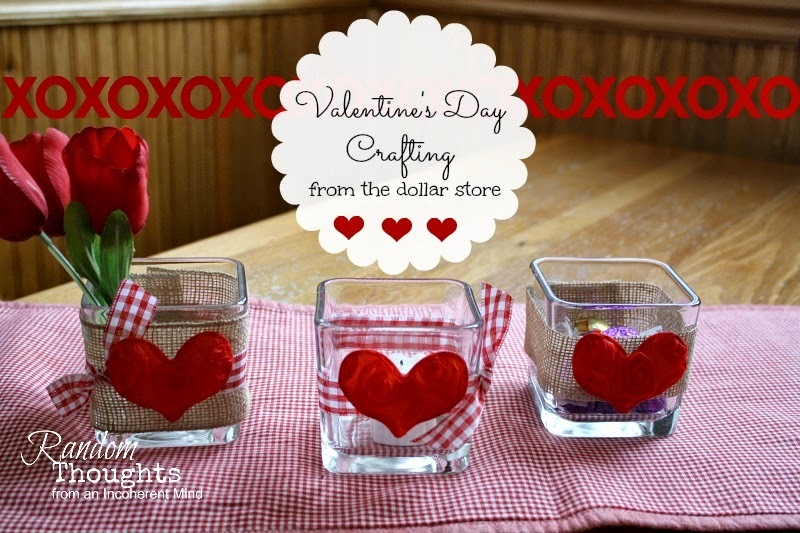 more Valentine's Day crafts than for any other holiday. kind of girl, so I didn't have a whole lot in the way of decor. I had for this holiday by way of crafting. 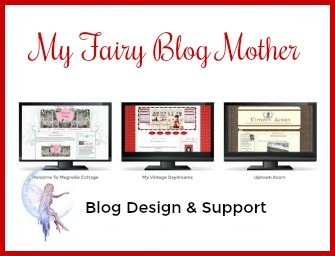 I'm almost embarrassed to share it! along with some hot glue and that was that! to give to a tea loving friend? Ok my sweets, that's my silly little craft for today. you have all come up with. These are very cute. It is amazing what pretties you can make from the Dollar Tree items. I do it all the time. I like those. I need to shop there more often. So cute G! Love the red and white gingham ribbon. These are adorable!! Great craft and only a $. The best kind! yeah.. cheap and very cute! I was joking on my facebook the other day that my friends would not believe that amount of money that I've saved since I left the manager position at the craft store. Who Knew? : ) No more senseless shopping for craft supplies. Gina, simple is good sometimes. They are just sweet! What a great craft and a perfect gift! It's not silly it's adorable!!! So cute! Love the Dollar Tree! What a pretty craft! Sooo cute! 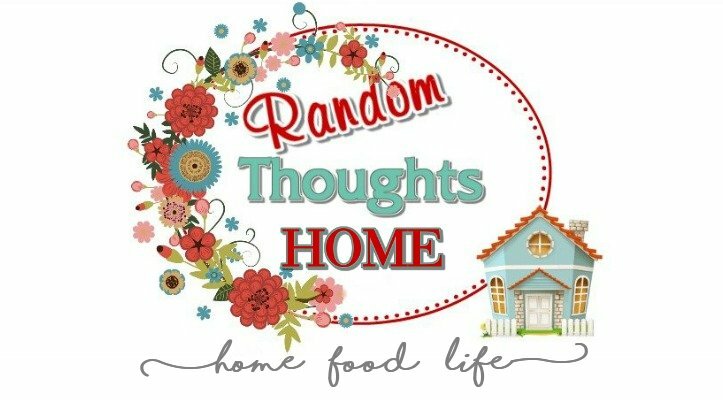 Awesome idea my frugal friend! You did great creating a really sweet gift idea! 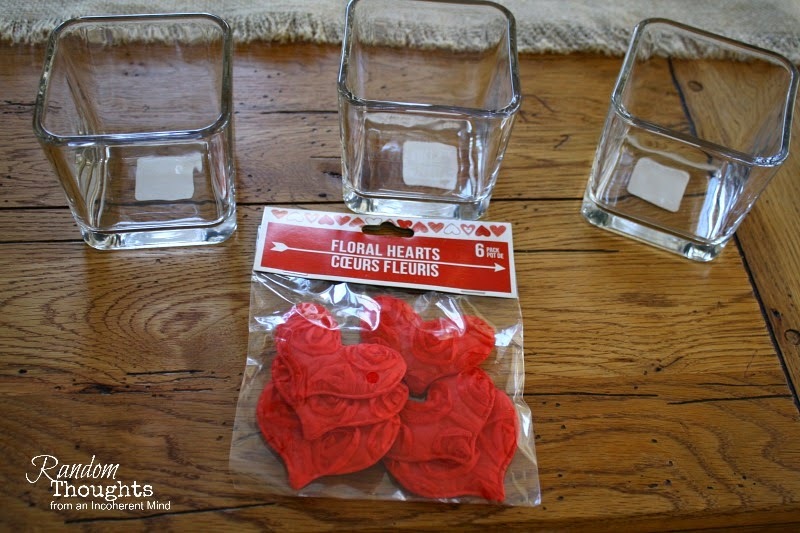 I don't really decorate for Valentine's Day either, Gina, but these are so cute and easy to make. Very fun! So simple and pretty! Love it Gina! 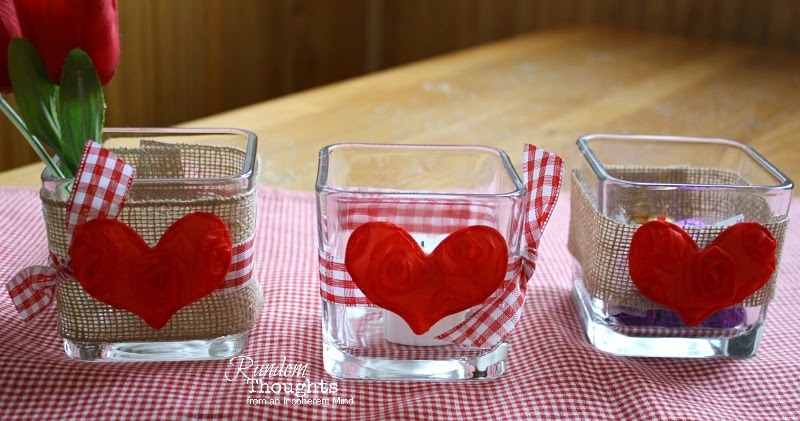 This is a sweet and thoughtful idea that could work for any occasion!